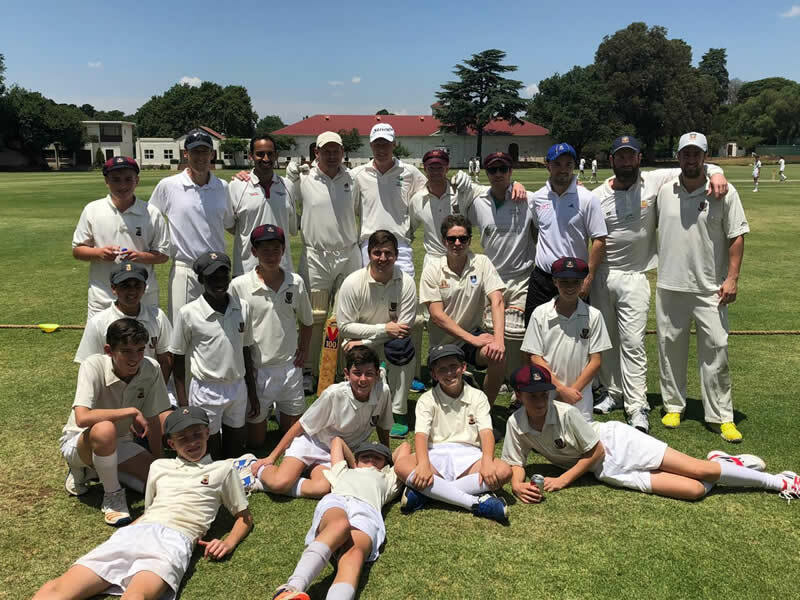 On the 24th of November the annual OJ cricket vs the 1st and 2nd team Prep side was played. This is one of the highlights on the OJA calendar as it gives the OJs an opportunity to interact with the Prep boys and to connect on the sports field with our future Old Johannians. 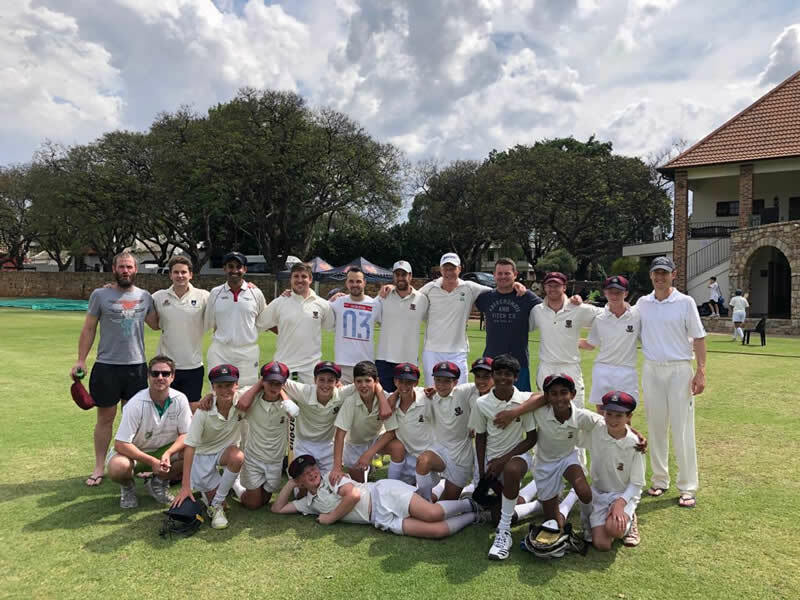 It also gave the Prep boys the opportunity to play against their dads, as we had Greg Tait, Martin Meyer and Andrew Crosley playing in the OJ team, all of whom are Old Johannians. This year we had a change in format, as both fixtures were played on Mitchell Field, allowing the Prep boys in both the 1st and 2nd side the opportunity to play on one of the best fields in the country. The 2nd team batted first and were off to a slow start in the beginning but managed to turn up the pace, and eventually end up with approximately 140 in 20 overs. The 1st team then took to the field and batted first. They were also off to a slow start but managed to turn up the scoring to end with approximately 180 runs. We would like to congratulate Martin Meyer (Clayton 1989) for his fantastic one- handed acrobatic catch. He definitely showed up a lot of the younger OJs. We were then treated to a lunch in Darragh Hall and would like to thank Kurt and his team for the catering. After lunch the OJ side took to the pitch to try and chase down the 2nd team’s target. The OJ side looked to be in control from ball one and managed to chase down the target with an over to spare. It was then time for the OJ side to try and chase down the very competitive score set by the 1st team. The OJs were off to a blistering start with Murray Workman (Alston 2009) scoring in all areas of the field. The OJs continued to dominate, but towards the later part of their innings things fell apart. They were bowled out with one over to spare and 10 runs short. We would like to thank both the 1st and 2nd OJ sides for continuing to participate in this annual fixture. 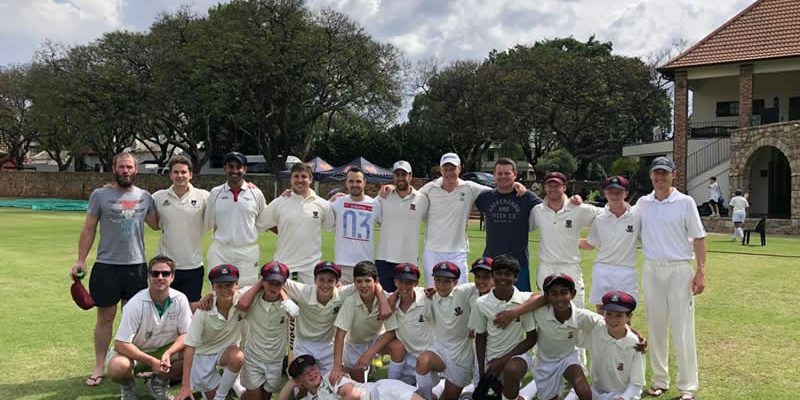 Lachlan Niven (Hodgson 2006), Dean Maxton (Nash 2013), Waheed Vadi (Clarke 2009), Gareth Heidt (Alston 2008), Robert Taylor, Dale Huddy (Clayton 2006), Martin Meyer (Clayton 1989), Greg Tait (Clayton 1991), Murray Workman (Alston 2009), Andrew Crosley (Clarke 1991) and then front row Glen Huddy (Clayton 2008). Thank you to Jaques Voss and the Prep staff for organizing the event and we cannot wait for next year.